For deep regeneration and refreshed looking skin. 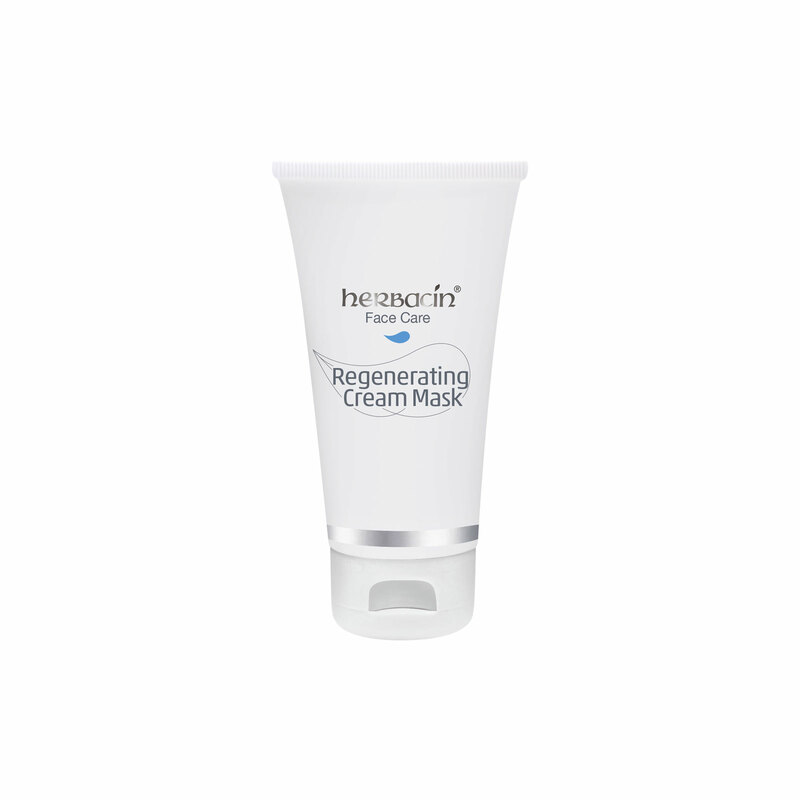 The regenerating anti-age cream mask complements the exclusive Herbacin Face Care range. This mask combines valuable oils, innovative active ingredients from plants plus active high-tech anti-aging ingredients in a very rich skin care formula. Shea butter, sweet almond oil, macadamia nut oil, and argan oil support the oily phase. Hyaluronic acid plus natural moisture boosters from white lupin and ripe melon extracts effectively replenish your skin´s moisture depots. The innovative active anti-aging ingredient carnosine strengthens the cell membranes while active ingredients from moth bean (Vigna aconitifolia) seeds help promote skin regeneration and the smoothing of wrinkles. For deep regeneration and newly refreshed skin.